Weekend getaways call for a great Cabernet Sauvignon. The 2015 vintage is just waiting to deliver. A hearty turkey chili is the perfect cold weather dish. Try this flavorful recipe! Planted on Red Mountain, one of Washington’s premiere winegrowing regions, Longwinds was established in 2014. Home to some of Washington State’s most celebrated vineyards, Red Mountain is renowned for Cabernet Sauvignon. With ideal southwest-facing slopes and significant day and nighttime temperature swings, this small but highly prized area in Eastern Washington produces exceptional wines. 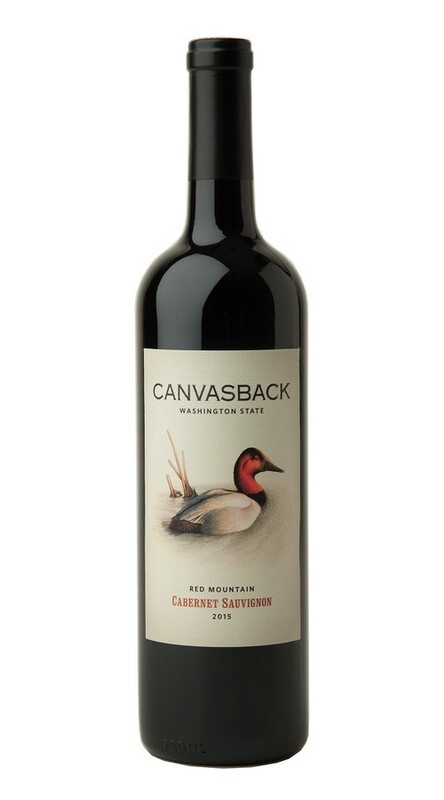 Named for the Canvasback duck, which is native to the Pacific Flyway, this wine was crafted from grapes cultivated by some of Red Mountain’s finest growers. With Canvasback, our aim is to express and develop the depth, structure and sophistication that define wines from this young and exciting appellation. Showing the warmth and generosity of the growing season, this wine offers effusive aromas of Bing cherry, ripe strawberry and plum. As it evolves, additional aromas of molasses and ginger reveal themselves, along with a savory whiff of sagebrush that echoes Red Mountain’s desert environment. On the palate, the wine has notable presence and depth. The entry is creamy and fine-grained, and a voluminous mid-palate displays gorgeous flavors of black plum, marionberry and grenadine, with notes of nutmeg and hazelnut adding complexity to the juicy fruit. While 2015 will go in the books as the earliest Washington grape harvest on record, it will also be remembered for its remarkable quality. A warm spring led to a very early budbreak, followed by ideal weather during bloom. With consistently hot summer weather, we tailored our canopy management to preserve shade on the fruit, while carefully timing our irrigation to protect the vines. A cooldown in the run-up to harvest slowed ripening, and allowed us to pick pristine grapes at a leisurely pace. With lovely balance and freshness, these grapes ultimately yielded wines of power and grace. © Copyright Canvasback. All rights reserved.